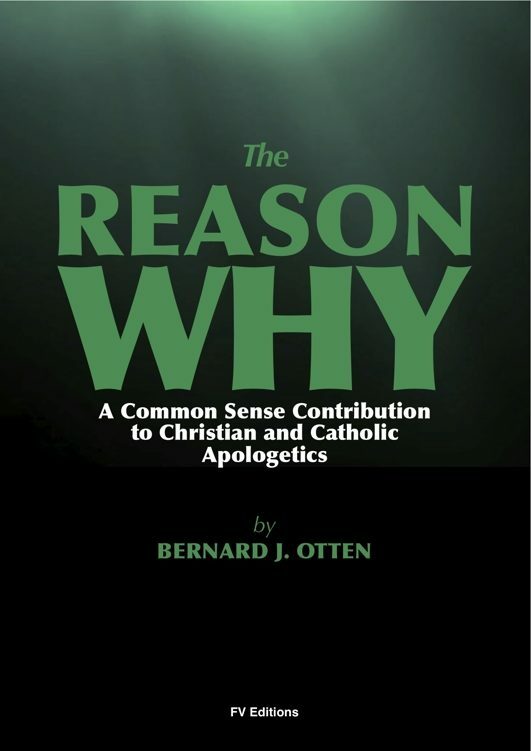 "In order to make this contribution to Apologetics serviceable to all, it was thought well to begin with the very elements of religion. Hence starting from the fact of creation, it is first of all made clear that religious service and worship of some kind is imperative under every conceivable condition of man's estate here on earth. This idea is evolved in the first part, which, therefore, deals with the question more or less in the abstract. In the second part, the subject is narrowed down to a consideration of supernatural religion, both as an abstract possibility and as a concrete fact. As this supernatural religion is in fact identified with Christianity, the third part deals with the question of Christ's divinity, which is quite commonly denied by religious indifferentists of the present day. The fourth and last part contains an answer to the question: Which of the hundreds of professedly Christian denominations, scattered over the face of the earth, represents the true Church of Christ? Thus the whole field of Apologetics is fairly well covered, although the treatment is necessarily somewhat brief." (B.J Otten, Professor of Theology).